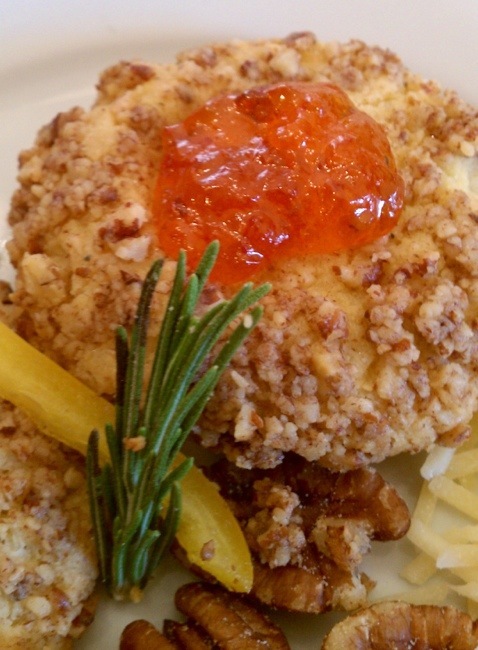 Yes, I know, I should’ve posted this recipe like…..2 months ago. But, I can’t get these off my mind. And since my friend Kelly, loves these little savory bites, and was having her celebration for her 1 year anniversary of selling Stella & Dot I thought…AHHH-HA! Today’s the day! This would/will/can be a great recipe for all those Christmas parties, New Year celebrations, ANY type of party! And isn’t the Super Bowl coming up soon? These would be a great addition and I guarantee these savory bites will be the first thing gone, so double the batch! 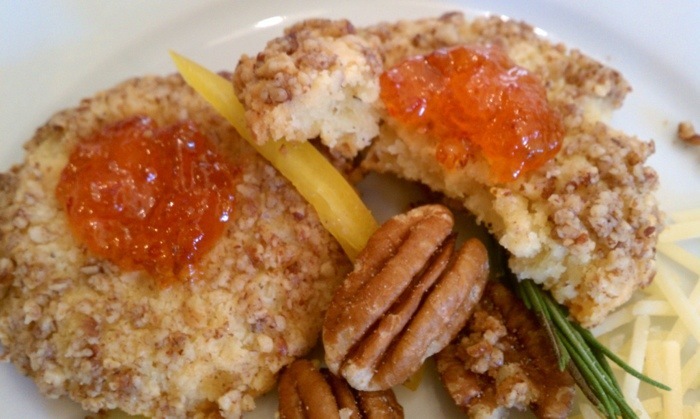 Another great friend of mine Nancy, introduced me to these delicious savory cookies. 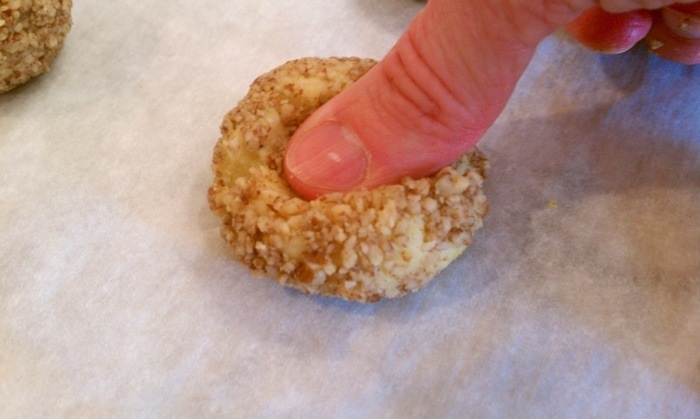 I remember the first bite, my brain was completely prepared to eat something sweet, like a raspberry jam filled thumbprint. But, to my surprise it wasn’t sweet at all! This bite was flaky, salty, buttery, nutty, cheesy and then came the spicy from the pepper jelly. Yes, the jelly does give a nice compliment of sweetness compared to the savory bite, but nothing like eating a sugar cookie! This recipe has been around for quite some time, and is most commonly found through Better Homes and Garden. I did a lot of searching and comparing recipes for these cheddar thumbprints and I found that all the recipes are pretty much the same. I know I’m a little late on not only posting this recipe at the right time of year, but for experiencing these little jewels like I’m sure half of the world already has. So, this is for the other half that is late to the party like me! Hey, better late then never! 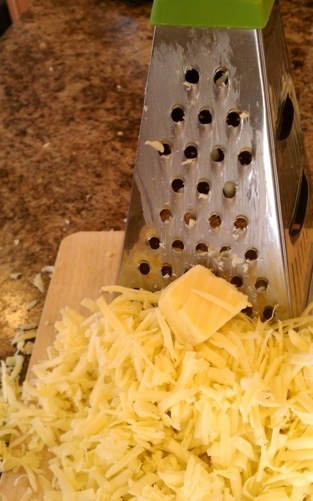 I prefer to use a good, dry white sharp cheddar compared to a yellow cheddar. I love white cheddar especially the Vermont white cheddar Zingerman’s uses at the Roadhouse for many of their recipe like the waffle. Most of you know the passionate love I have for that waffle. Start by finely chopping the roasted and salted pecans. I permanently borrowed these pecans from Nellies pantry. I do that a lot. 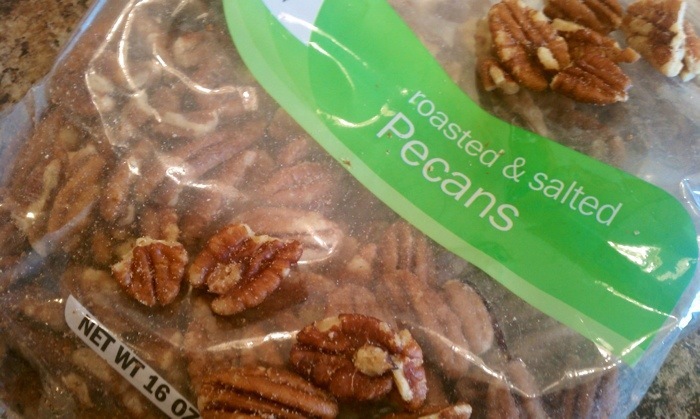 I absolutely love that Meijers carries these pecans already roasted and salted! So convenient! 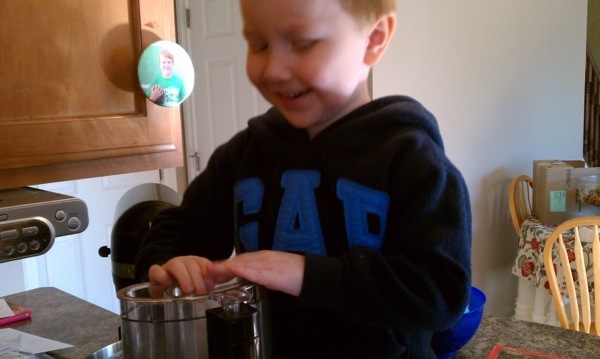 Rudy was determined to help make his girlfriend Kelly’s treats. I love that I make this whole recipe in the food processor! 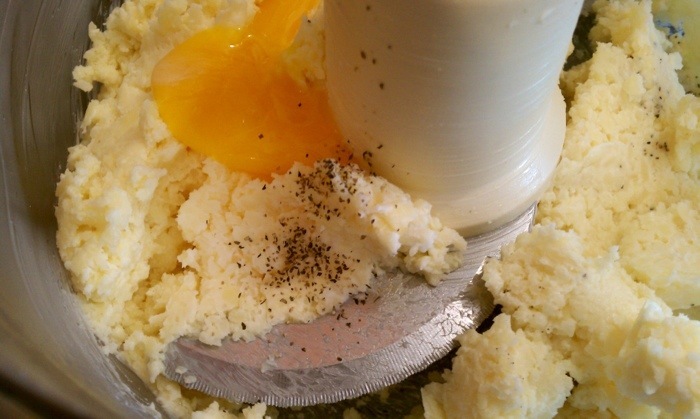 Keep scraping down the sides to ensure the cheeses and butter are getting well blended; add the egg and pepper. Add the flour and mix until the dough gathers into a ball. Don’t roll these very big. They should be no bigger then a “2-3 bite” size. Tip: after rolling the dough balls into the chopped pecans, gently roll the dough in your hands again, this will press the nuts more firmly in the dough balls. 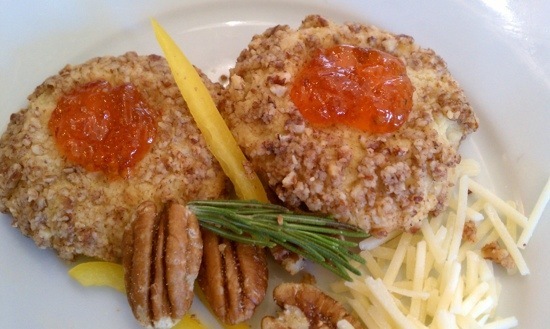 Bake, let cool and add the pepper jelly of your choice. Thank you Nancy for introducing me to these great savory cookies! Place the finely chopped pecans on plate. Set aside. 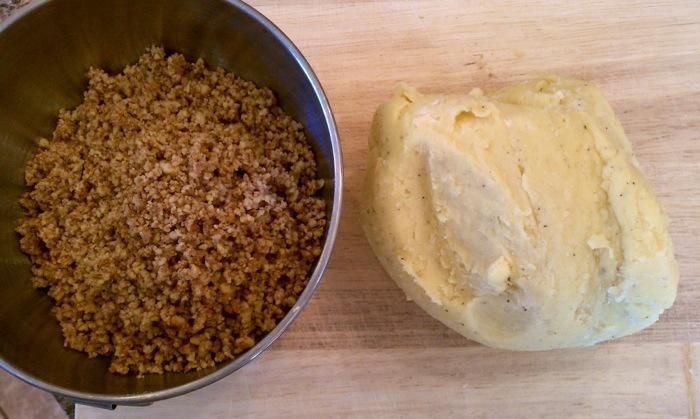 In food processor, pulse together Cheddar and Parmesan cheeses and butter until smooth. Add egg yolk and pepper; pulse until blended. Add flour; pulse just until soft dough forms. 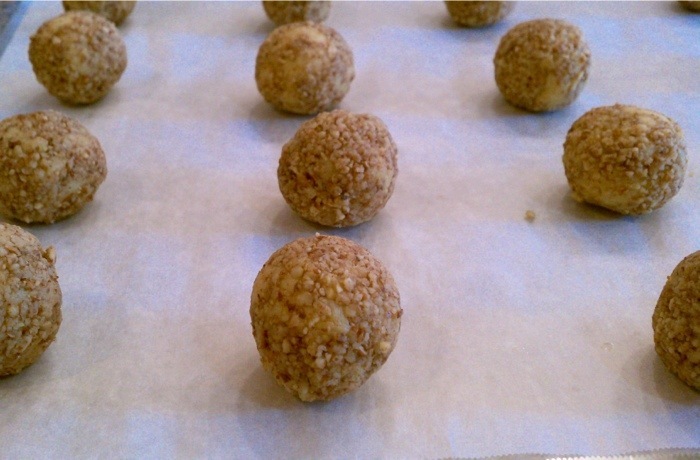 Take one teaspoon full of dough and form into a ball; then roll in nuts to coat pressing nuts lightly into dough ball. Place on a parchment lined baking sheet. With thumb or finger, make indentation in center of each. Refrigerate for 15 minutes. Bake in center of 350°F oven for about 15 minutes or until firm outside and lightly golden. Let cool on baking sheet. 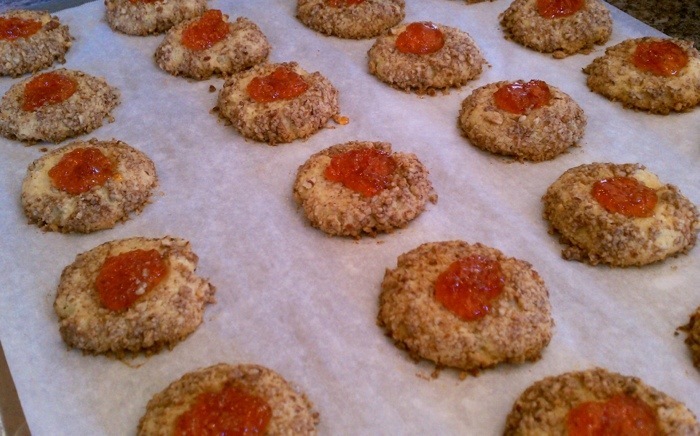 Fill indentations with hot pepper jelly of your choice. Tip: Can be prepared to the of point indentation (without the jelly) and frozen in layers separated by waxed paper in rigid airtight container for up to 2 weeks. Remove from freezer and bake at 350 degrees for 15-18 minutes. Add pepper jelly when cooled. Warning! Although these are rich in flavor, they’re highly addicting! Thank you so much for organizing this! I am available for any time you schedule! I will make it a priority. I am up north one week in July…I think it is the third week. Otherwise, I am yours! You lucky dog, you!